Last week’s most viewed post was “Difficult People & Strong Willed Children” – that’s something most every mom has dealt with. You’ll find some good advice and encouragement in this article. And Now! 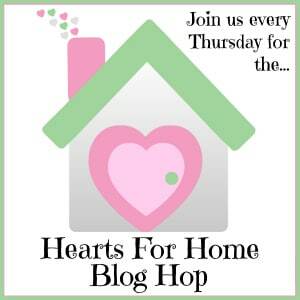 This Week’s Hearts for Home Blog Hop! Did you know a dozen bloggers co-host this party every week? You can meet them all <here>. We love spreading the ideas and inspiration you share with us every week! Grab the button below and display on your own blog if you’d like to spread the news and share the love, letting others know where to come for encouragement and inspiration in cultivating Hearts for Home.